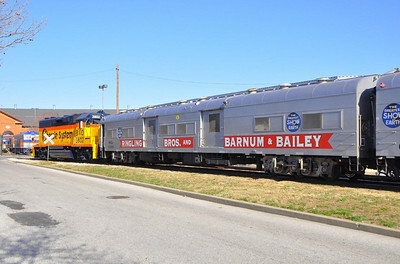 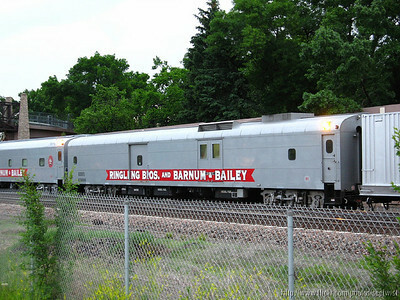 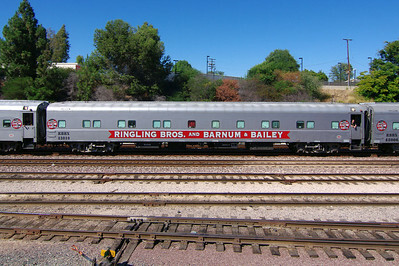 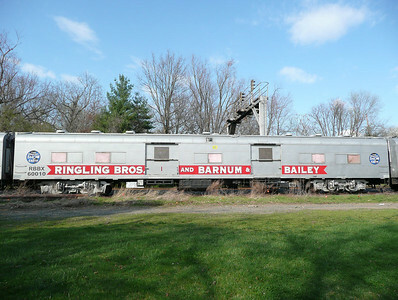 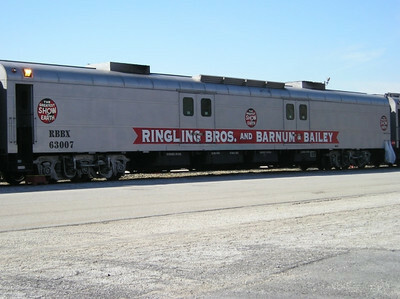 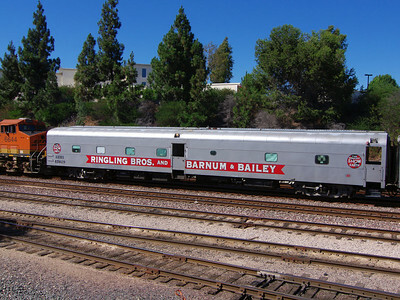 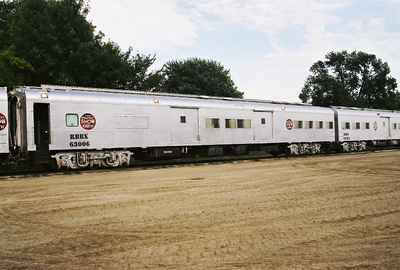 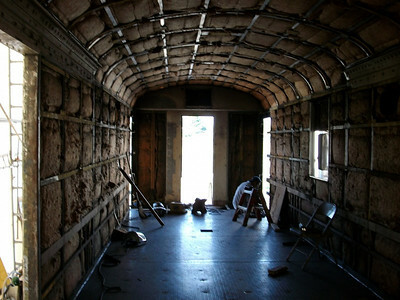 Photos of former Union Pacific passenger cars that were sold to Ringling Bros. and Barnum & Bailey circus. 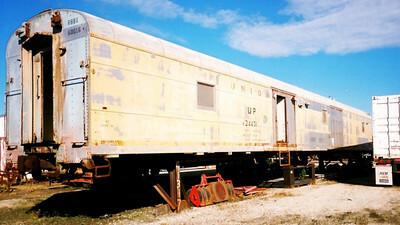 Harvested from various internet sites; photographer and location are unknown, except as noted. 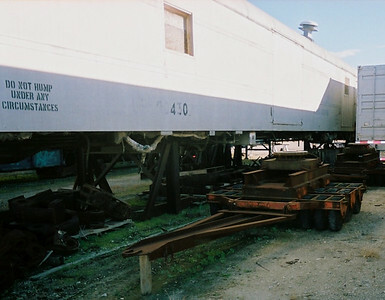 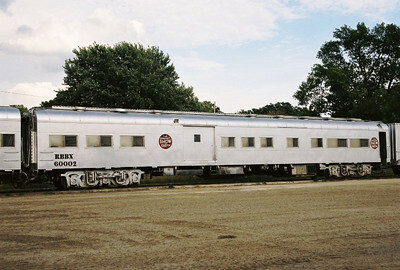 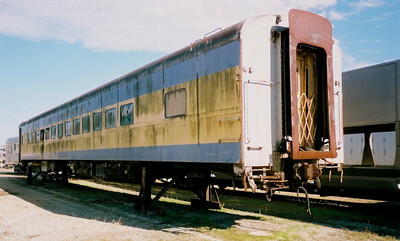 Dolly used to move rail cars around the Palmetto shop; shows ex-UP 90430x car in background, with illegible RBBX number. 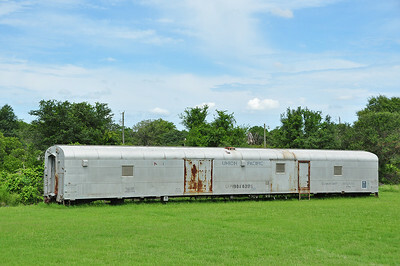 Rhett Coates Photo. 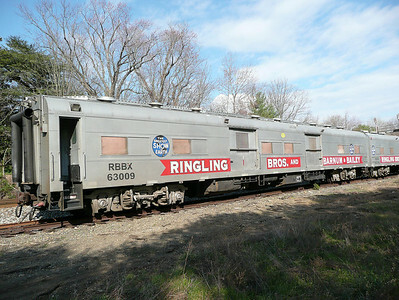 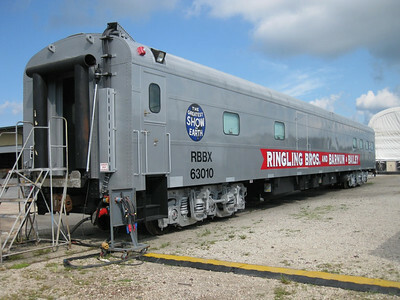 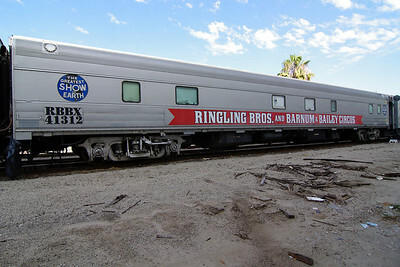 Four RBBX cars, all ex-UP, stored on spur in Ellenton, Florida, about one mile east of Ringling Bros. Palmetto shop. 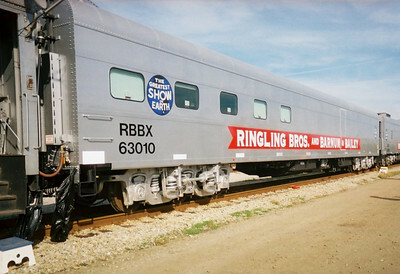 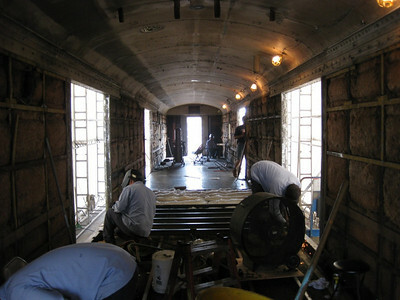 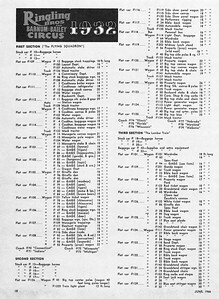 RBBX 63010, Pie Car, being rebuilt from UP 5770. 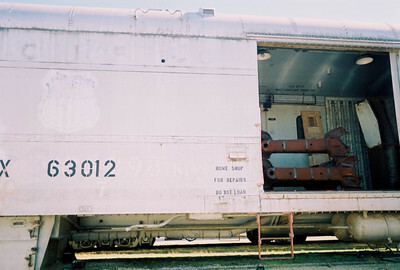 Rhett Coates Photo. 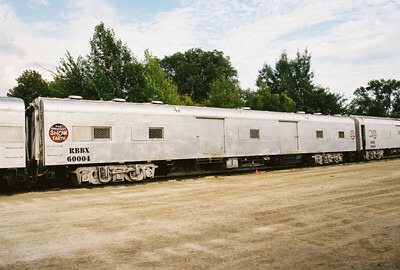 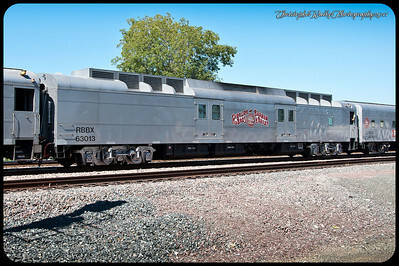 RBBX 63010, ex-UP 5770; Diner, known as "Pie Car"
RBBX 63013, ex-UP 5780, July 2011; recently rebuilt as generator car. 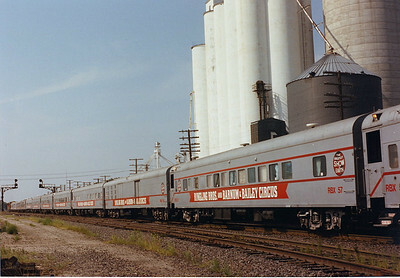 Christopher Walker Photo.